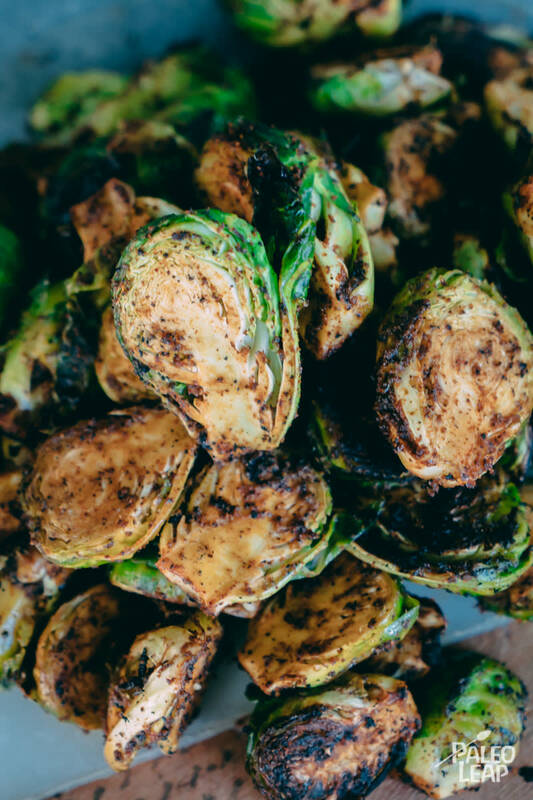 If you are an adventurous eater, then chances are good that you have already discovered that Brussels sprouts can be juiced, in their raw form, with apples and cucumbers… If you aren’t quite there in terms of “exploring” all the possibilities, let us hand you this tried-and-true recipe of grilled paprika Brussels sprouts. No one will raise an eyebrow at this if you serve it at your next dinner party, in fact, it may be the very recipe that makes them rethink the flavor of this baby cabbage. Brussels sprouts often get a bad rap, either for their slightly bitter taste or their typical cruciferous odor, yet they aren’t all that bad. In fact, they aren’t awful at all. And there are several reasons to consider eating them, even on a weekly basis. Some people may go as far as calling them a superfood, we’ll just say that they are enticing little bits of anti-inflammatory medicine which are uniquely disguised as food. They help to combat chronic inflammation, as well as sprouting powerful antioxidants that help us to live better, healthier lives. Choose to love the flavor, and the vitamins and nutrients will come straight to your table. You are free to choose the spices that you love best. Paprika, chili powder and thyme is a classic combination, however Brussels sprouts also taste amazing when baked with balsamic vinegar, raw honey and dried cranberries. In a bowl combine the paprika, chili powder, thyme and cumin; season to taste. Drizzle the Brussels sprouts with olive oil and fresh lemon juice. Sprinkle the paprika mixture all over the Brussels sprouts, and gently toss everything. Heat a grilling basket over the preheated grill, and cook the sprouts about 10 to 12 minutes, turning every few minutes. Alternatively, if you don’t have a grill you can cook the veggies in the oven at 400 F. for 15 to 20 minutes.